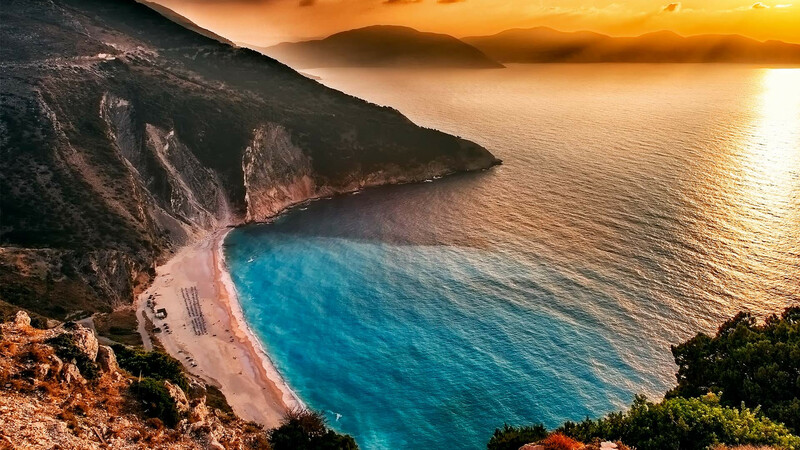 Nothing quite prepares you for Myrtos beach, not even the thousands of Instagram posts you’re sure to ogle before your visit. Set on the Greek island of Kefalonia, the long, deep white-stone beach is one of the best-looking you’ll see, and puts other Greek beaches (which let’s face it, are pretty special) to shame. You’ll approach it by a steep back road, and arrive to see turquoise water with white cliffs leading into the sand. Beyond that, though, this island is a beachy treat. Don’t just stick to the resorts of the south; instead drive along goat-dotted roads to Fiskardo, a cute fishing village in the north. It’s the jumping off point for tiny boats that you can hire and motor around to bays that are only accessible by water. 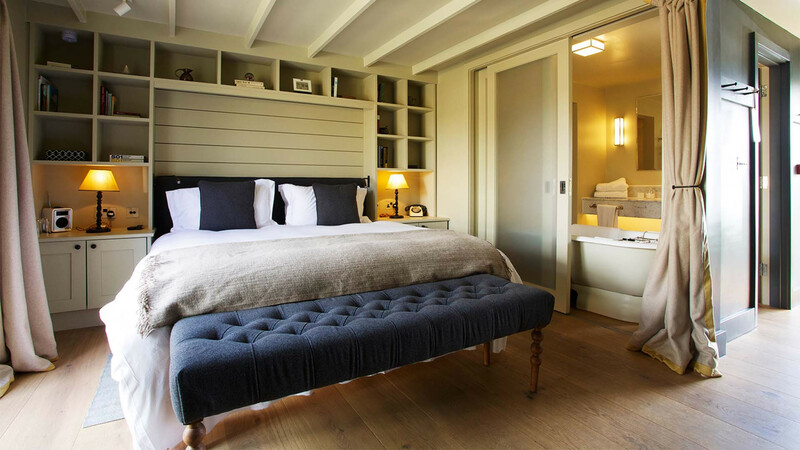 F Zeen is a gorgeous boutique hotel set on the coast in Lourdas. Nightly rates from £80; EasyJet offers return flights from £120. Love luxe all-inclusive resorts or are you more clued up on cute little casas? 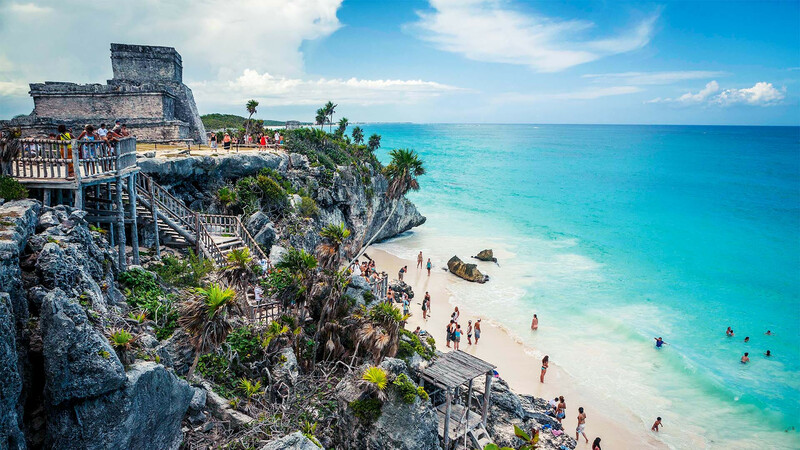 Either way, you’ll have your pick on the Riviera Maya, on Mexico’s Caribbean coast. The beach is truly one of the best we’ve seen, with talc-white sand, paragliders dotting the sky, and resorts spread far enough apart that you feel like you’re getting enough privacy. 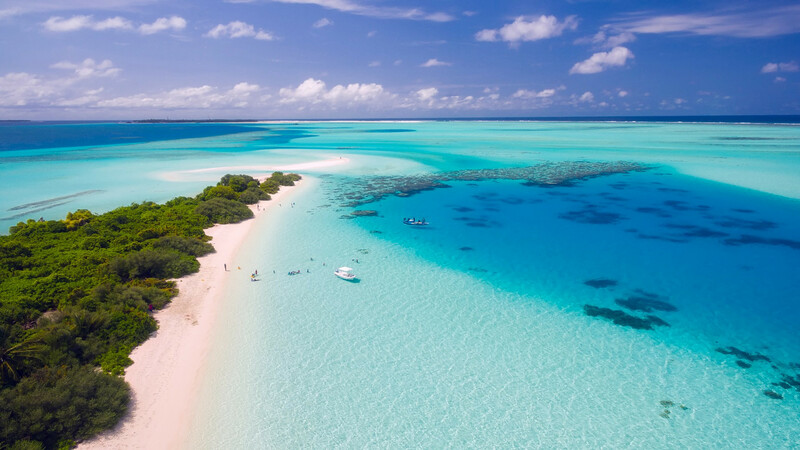 There’s also the second largest barrier reef system in the world to explore, where you can snorkel to your heart’s content, spotting all sorts of water-dwelling wildlife. While you’re in the area, it’s worth allocating a few days to Isla Mujeres, a little island that you can reach by ferry from Cancun (home to highrises and hot pants – yes, it’s all true). Soak up backpacker vibes and drink margaritas in one of the many beach bars. The Rosewood Mayakoba is the coolest hotel on the stretch. Nightly rates from £540; Virgin Atlantic flies to Cancun from £550 return. Think Vancouver is just a cool Canadian city full of mountains and coffee shops? Of course it is. But beyond that, you’ll find a city with nine beaches, eight of which are by the ocean, and another by a freshwater lake. 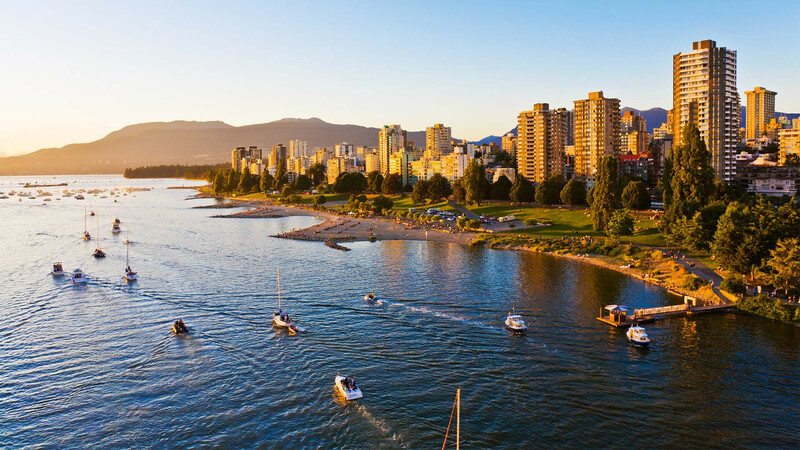 So when you’re not gulping in that fresh Canadian air while hiking up a massive hill, or ploughing through dim sum in one of the many awesome Chinese restaurants, head to the waterfront where you’ll find Jericho Beach. It’s not a soft, white-sand affair – this isn’t the Caribbean, after all – but it has swimming spots, windsurfing areas and picnic tables. For something more chilled, try Third Beach, a sandy spot surrounded by trees, and a great place for watching sunsets. For hipster vibes, stay at The Burrard. Nightly rates from £94. Air Canada offers return flights from £550. Oh don’t be so dismissive, what’s not to love about a faded seaside resort full of average guesthouses and sticky-floored pubs? Before you think we’re being rude, that’s just the sort of thing we’re into. And throw a giant roller coaster in the mix and you have yourself a fun, and funny, little beach break. 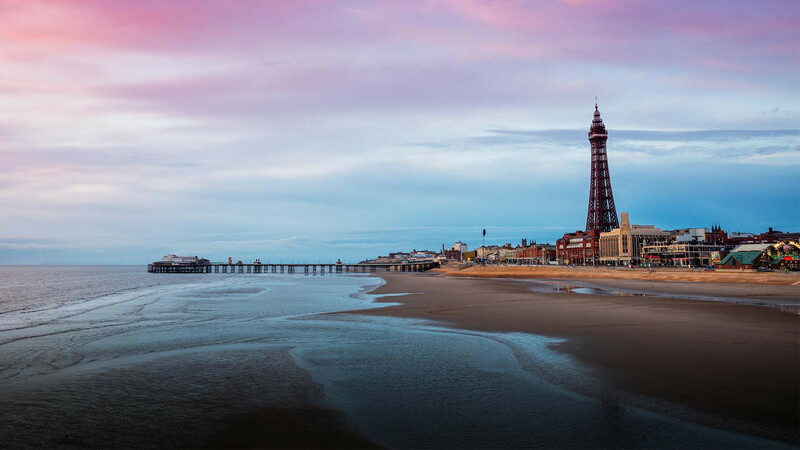 Sure, it’s no Biarritz, but there’s a tonne of money being poured into the city, with new hotels on the horizon (from Hilton to a post office boutique-hotel conversion) and new rides coming to the Pleasure Beach. In the meantime, you can spend your dosh on the slot machines in Funland, and if music’s your thing, the city has become a pilgrimage destination for punks (you might want to check out Rebellion Festival from 3-6 August for Pennywise, Bad Religion and more). Beyond the great hair and leather jackets, the city has a great local music scene – why not go and check it out yourself? Try the central Best Western for good value. bestwestern.com; book trains through Trainline from £40 return. 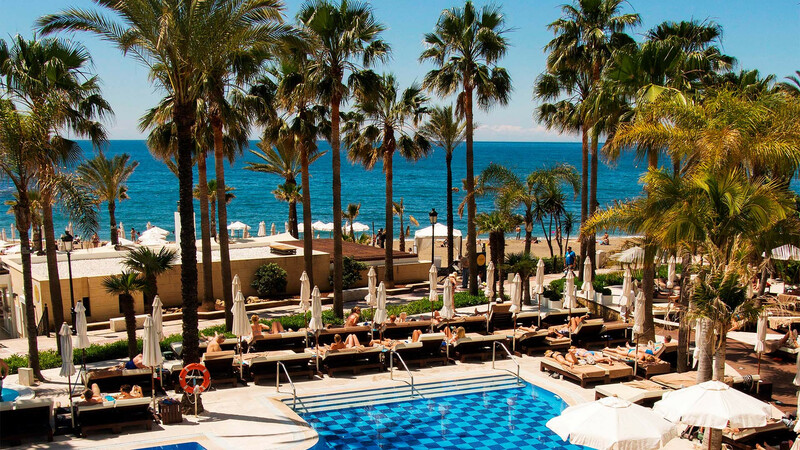 You’d be forgiven for thinking that Marbella is still the stiletto-stomping ground of D-list celebs, but it turns out that’s not the case. This beach resort shouldn’t be ruled out for a spring, summer, or autumn weekend beach break (and it can be pretty warm in the winter, too). Base yourself at the adults-only Amare hotel for access to the beach, (they have big day beds on the sand that you will not want to leave) as well as the cobbled streets of the old town. Have a wander and indulge in some late-night churros, then retreat to your white-washed room before – yes, you guessed it – heading out the next day for more sunshine. Classic Collection offers three nights at Amare from £768 with flights. Australia may seem a long way to go just for beaches, but Margaret River, on the country’s west coast, doesn’t have the hellish flight time that the likes of Sydney do (and with new direct flights launching with Qantas to Perth in March 2018, it’ll be even easier). Perth is a cool city itself, one that’s going through plenty of changes with art, bars and food, but drive south (only for three hours or so) to combine vineyards with beaches – one of the best combos going. Rent a camper (you’ll never get better weather for it) and check out the beaches of Prevelly for a rustic sweep and Eagle Bay for calm, clear water and not a sod in site. When you’re not cruising around, try a wine tour which will take you to the very cool House of Cards winery; the name’s a nod to the gamble that winemakers take with every vintage – you have to play the hand you’re dealt. Food in the region is flipping awesome, weather it’s breakfast with a beach view at the White Elephant cafe (giant avocados), or big fresh portions of tacos and wings, with a side of local beer, at the outdoor Brewhouse Margaret River. 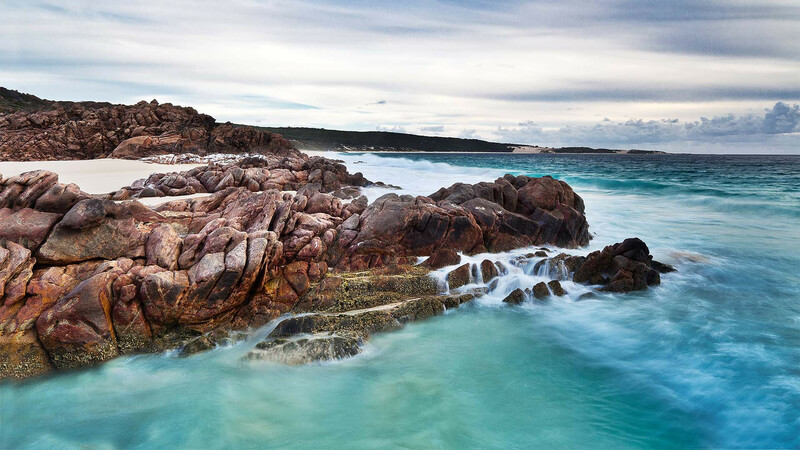 Austravel offers 14-night trips in Western Australia from £989 per person. The offer includes one night at the Comfort Inn Bel Eyre in Perth followed by 13 nights Apollo Motorhome hire. You don’t have to fly for hours to find the best beaches, not when Camber, the closest sandy beach to London, is just 90 minutes away. The dog-friendly stretch of sand is great for a paddle, but if you’re looking for something more active, it’s one of the best places on the coast to learn to kite surf, too. When you’re not getting busy with this, check out the cute town of Rye, just five minutes inland. It’s full of Georgian and medieval houses, boutique shops (no big brands are allowed) and best of all, pubs. Loads and loads of them. Although beach holidays are more common in the summer, there’s something to be said for wrapping up for long walks on the beach, followed by evening sessions eating great gastro pub grub and drinking local ale. Try visiting during the Wild Boar Festival in October, or Rye Scallop Week in February. The Gallivant is one of the best beach-front boutique hotels going, and it’ll gladly welcome your dog, too. Nightly rates from £110; Southeastern offers return tickets from £20. If your idea of a beach break is a lazy combo of white sand, turquoise water and cocktails, then we can’t say we blame you. The Maldives is one of those ‘see it to believe it’ places, and the best bit is there’s something to keep every type of beach lover occupied. So if your heart is in water sports and classes, try the likes of Niyama, with its bright and bold interiors and a never-ending selection of things to do. For parties, check out Finolhu with its beach-club inspired roster of themed nights and DJ sets (and food choices ranging from fish shacks to grills, too). To just kick back, churn through books and work on that tan, head to the celebrity’s favourite, Huvafen Fushi. The tiny island is one where you’re really forced to relax – although if you start to get itchy feet, check out the coral regeneration programme (including a fun snorkelling session with the resident marine biologist), or book yourself in for a facial at the underwater spa. It’s a tough life. Virgin Holidays offers seven nights all-inclusive at Finolhu from £2,599pp. 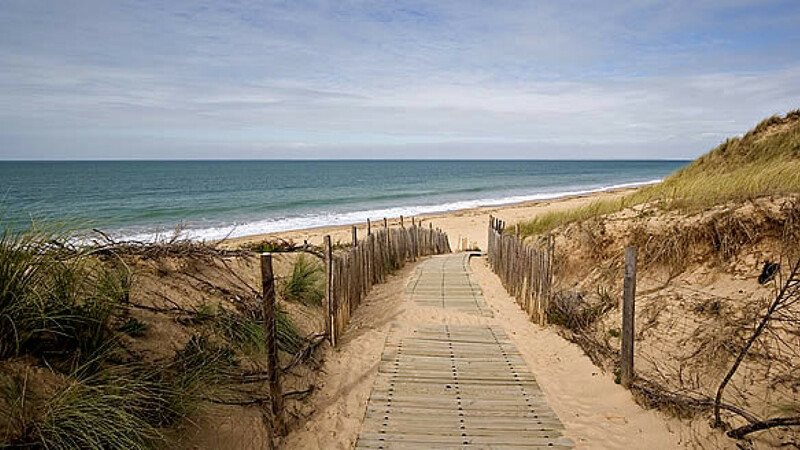 Picnics, wine and big sweeps of dog-friendly beach: Ile de Re might just be our perfect weekend beach getaway. The island, located just 30 mins from La Rochelle (fly or ferry it) is the summer hangout of well-heeled Parisians, but don’t let that put you off. For the best combo of beach and food, stock up on baguettes, cheese and charcuterie at La Flotte’s food market (it’s the biggest town on the island) and picnic at La Baleine Beach; feast on langoustines at La Cabane de la Patache on the Trousse Chemise beach or head to Café du Commerce in Ars en Ré for gambas flambées au cognac. Hundreds of miles of cycle paths wiggle their way across the island, crossing salt marshes, passing World War II fortifications, leading to Atlantic-frothed beaches, so if you think you’ve overdone it on cheese (and you’re doing something wrong if you haven’t), you’re in the best place to ride it off. For dramatic curtains and antiques, try the island’s favourite Hotel de Toiras. Airbnb has really cute, affordable options kitted out in shabby-chic furniture. Ryanair flies to La Rochelle from £30 return. Most people heading to Japan make a beeline for Tokyo, and rightly so. Beyond the frenetic city though, this is a country that offers up some of the best beach holidays going, and for that you need to head to Okinawa. The birthplace of karate, it’s an archipelago of coral-fringed islands that could be mistaken for Hawaii (the laid-back residents often wear Hawaiian shirts to work). Hop around a few, stopping off at eclectic Dojo Bar on the main island, or going straight to Taketomi Island for a digital detox – there’s also no public transport and people travel by water buffalo, so you’re really shunning tech while you’re there. To give you a sense of the area, look to one of their greatest exports – a girl band with an average age of 84. Check out their home isle of Kohama Island, a tiny turquoise-water island with a population of 600 and a song dedicated to it – ‘Come on and Dance, Kohama Island’. 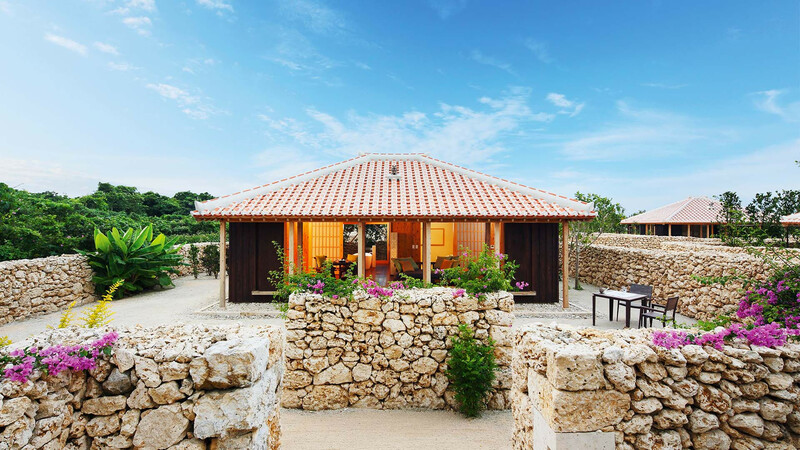 Air France offers flights from £550 return; stay at the cool Hoshinoya Taketomi Island if you have the budget, or try an island-hopping trip with Inside Japan Tours. Surfing in the morning and tasting olive oil in the afternoon? That’ll be a beach break in San Luis Obispo (or Slo Cal for short), California for you. 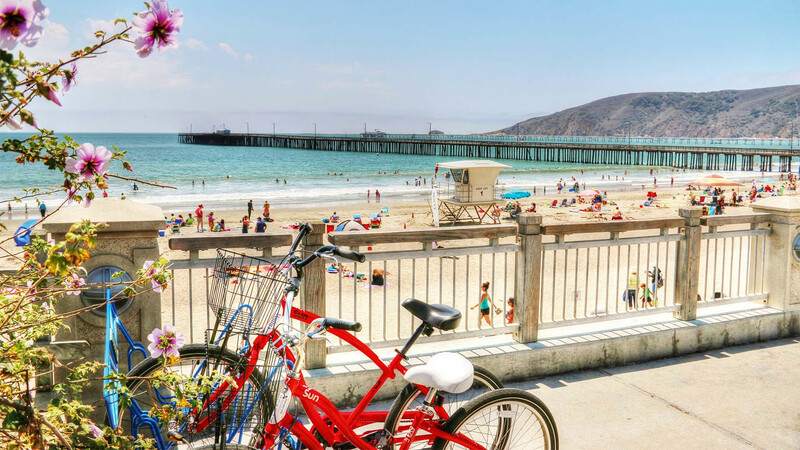 The dramatic stretch of coast midway between San Francisco and Los Angeles shouldn’t be ignored on your Cali road trip, and it’s here that you can get a taste of California 50 years ago, soaking up the residents’ chilled-out lifestyle. With 20 microclimates, there’s sure to be sunshine somewhere. So spend your mornings at the promenade of Pismo beach (where you can swim, take a kayak to caves and arches, or go surfing) or the Oceano Sand Dunes, the only California state park where you can drive a car on the beach. There are 12 farmers’ markets that take place in the state, which should give you some idea of the local food focus here. In fact, this is a place where drive-thrus were banned, so the big players (McDonalds etc) soon went out of business. Instead, try Tognazzini’s Dockside restaurant for barbecued garlicky oysters, then sample locally brewed beers at Barrel House Brewing Company. Evenings can be spent barbecuing on the beach, or checking out one of the last remaining drive-in movie theatres in the US, the 1950s-style Sunset Drive-In. Tinker Tin Trailer Co is a colourful collection of kitsch caravans – hook one up to your rental car for a twist on the campervan holiday. Norwegian offers one-way flights to Oakland (outside of LA) from £373. 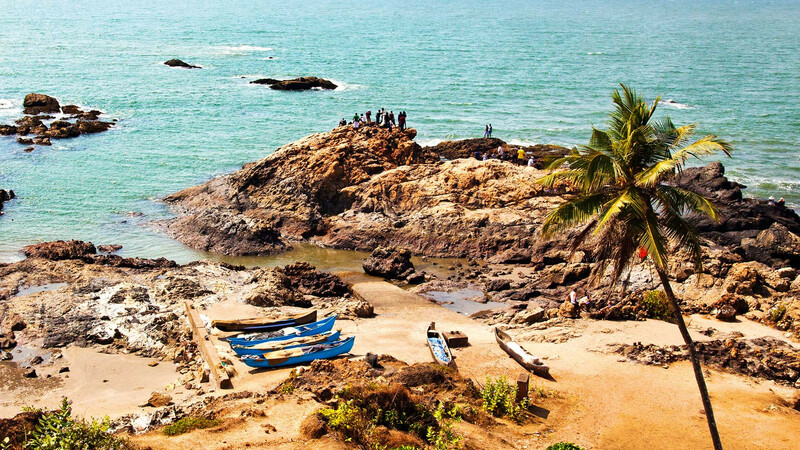 Whether you’re travelling for fragrant fish curry, a week-long yoga retreat or colourful markets, there’s no getting away from the fact that Goa’s biggest draw is its uninterrupted stretch of golden beaches. Plenty has changed since the 1960s, but you’ll still find something to suit you. Our favourite patch, though, has to be Morjim, about 15 minutes south of Arambol, a hippy-ville with loads of restaurants and bars on the beach; definitely spend your evenings here (La Plage is without question one of the best restaurants on the sand, whether it’s for breakfast, lunch or dinner). When you’re not lazing by the shimmering sea, or drinking the cheapest beer for miles, try visiting the markets. Apora’s Saturday night market is a fun evening out, and a great place to load your suitcase with hippy home stuff. Anahata Retreat is a peaceful place to relax in rustic sea view suites (check out its yoga schedule). For something more luxe, try the five-star Alila Diwa, and twin it with the Four Seasons Mumbai (you may fly into the city, and it’s worth staying for a day or two). Nightly rates from £160 and £170 respectively; Air India offers flights from £360 return. Travellers flock to Croatia for sailing trips, and why not? The water’s fiiiine. For something a little different, and much more local, try the Neretva Delta, just 90 minutes from Dubrovnik. Here you can spend your days kayaking through the mangroves on the Neretva river, cycling through tangerine fields and pretty villages, catching eels and frogs (and eating them, oh jeez). When all that gets a bit tiring, you’ll have access to the longest sandy beach in Croatia – a windsurfing hotspot, no less. For sunbathing and beer drinking, try the small village of Blace, with its cheap beachside apartments and little bars. As far as DIY beach holidays go, you can’t do much better. 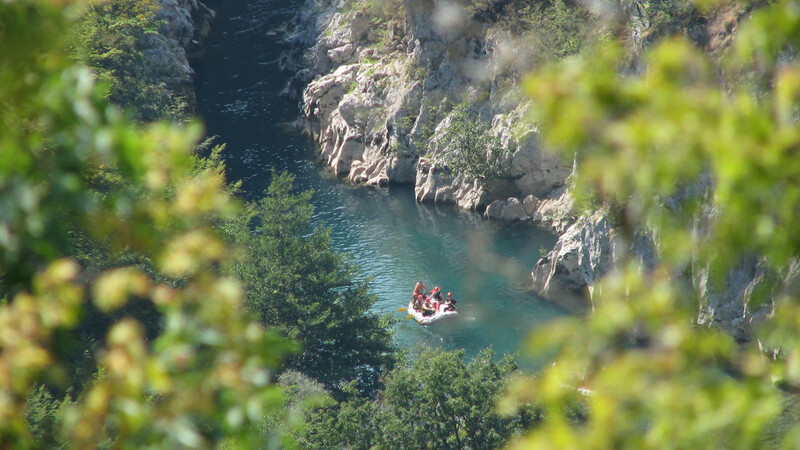 Arrange windsurfing and kayaking through Explore Neretva; Book accommodation in Blace via Airbnb; Easyjet offers return flights to Dubrovnik from £60. It was would be remiss for us to write about beaches and not mention Antigua. No, not because of the white sand, crystal clear water and all that jazz, but because of the stats. Yes, stats; numbers – all 365 beaches in fact, from the remote Half Moon Bay to the peaceful stretch at English Harbour. Of course, you’re bound to get thirsty, which is handy because the good folk at the island have recently put together a beach bar trail, helping you choose which beaches to visit based on how much rum and beer you want to drink. 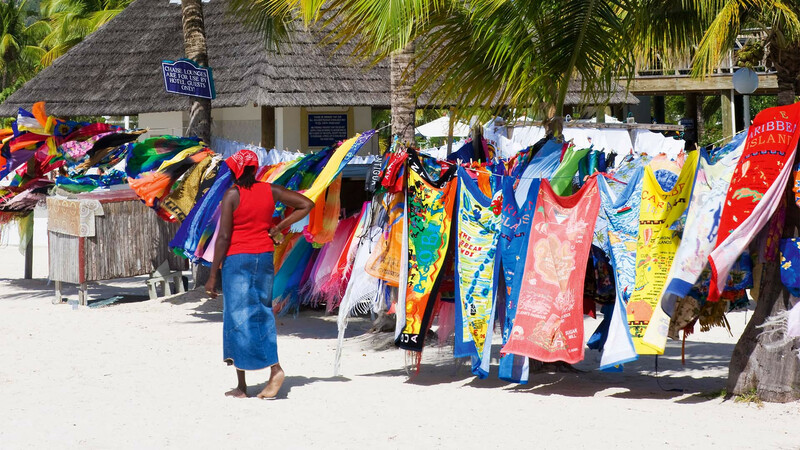 It’s not all Carib beers and cocktails though – the bars are a great chance to soak up the island’s culture. Whether it’s conch fritters at Turner, seeing local art at Ana’s on Dickenson Bay or listening to music at Castaways. Handily, the island’s also produced a guesthouse guide, meaning you don’t have to fork out for a plush resort. If you do though, try Carlisle Bay. Seven nights from £2,713, including flights with Classic Collection. Ah, the humble beach holiday: that all-too ephemeral getaway you manage to bag once or twice a year if you're lucky. The one where you lie around doing absolutely nothing but sweating, swimming, chilling and (if you're anything like us) constantly re-applying SPF50 sun tan lotion. It's up there alongside the city break for the favourite type of holiday in the good books of travelling Brits, but that doesn't mean we're going to let you get away with doing it 100% conventionally. Here at Escapism, we think travel is about more than just hopping off the flight and plonking yourself on the nearest sun lounger. And that's why we've pulled together some of the finest beach breaks in the world right now, for your sun-soaked delight. From lesser-known haunts on America's west coast, to secluded islands in southern Japan, we've got you covered for all types of beach holiday, but that doesn't mean we're not prone to sharing the odd classic, too. Whether it's the famous UK beach resort you should be visiting this summer, or the specific inch of Greek beach you should be laying down your towel, we've got your more than covered. Just make sure you remember that factor-50. Looking for some winter sun? Try these places for size, instead.